we're looking at three options here. since I promised a foam free-for-all there's that. 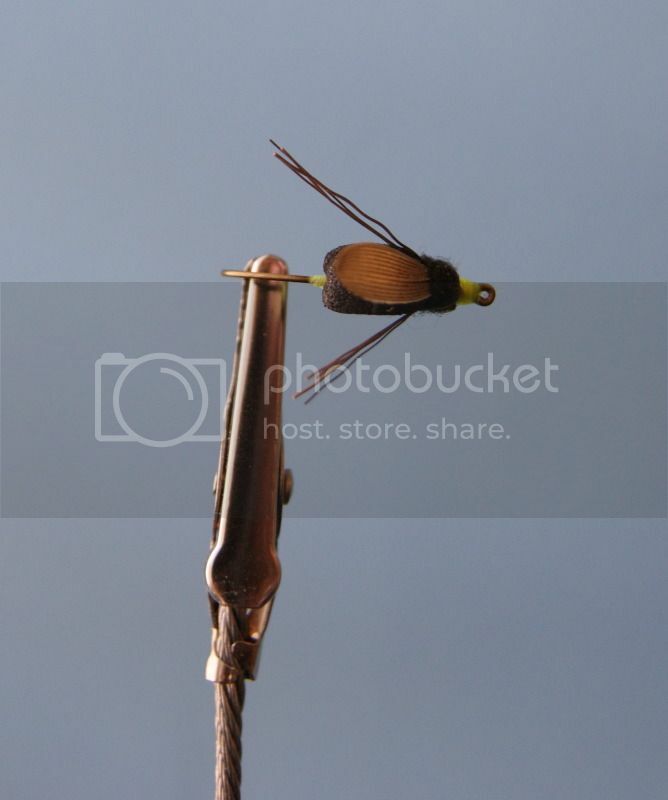 what I'd really like to see is how you tie yer mini-hoppers. so we, could do one, the other or both. 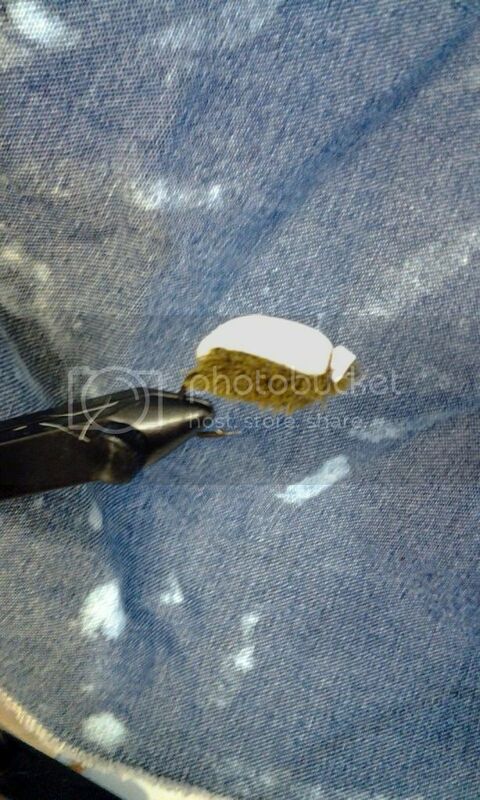 as far as I'm concerned the biggest challenge when working w/ foam is eliminating the bulk. we also have a tendency to use to much of it (like krystal flash and flashabou-less is more). foam's primary asset as a material is its floatability. it's responsibility is to float the fly, not imitate the body. again all this is just personal aesthetic, tie on garth. oh yeah - I've got a prize for this one. 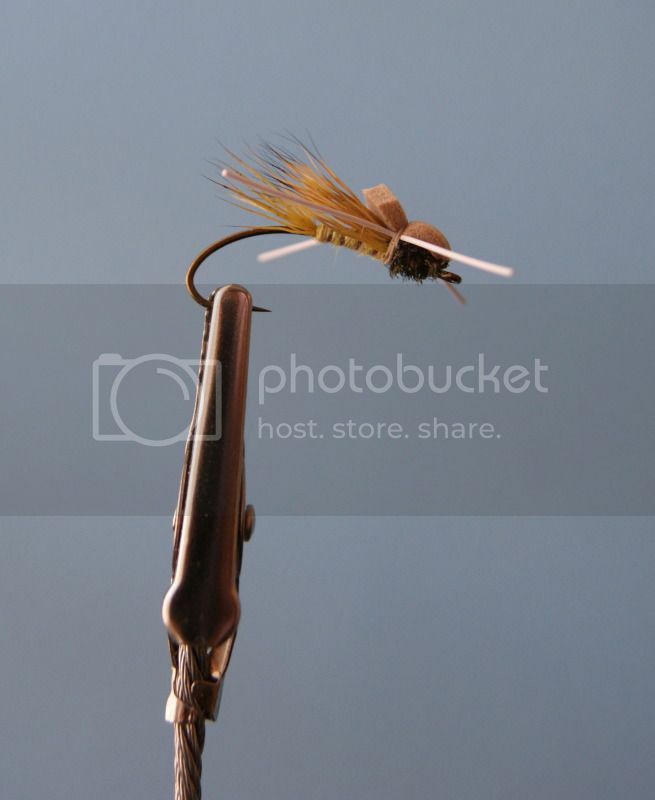 harrison steeves' tying flies with foam fur and feathers. quite good actually. 48 patterns w/ s/b/s and development/fishing anecdotes make it an interesting read. I think I'll go tie a mini hopper. again, have fun and be creative. and try to take a better picture while yer at it. Come on people. This one if foam! Easiest thing in the world. This is an orange mini. Everyone knows the recipe but I'll post it just to be technical. I'm including what I use to tie them, just different brands of the same material. Completed it looks better but no one will confuse it with Ben's. I'll tie up a hopper Juan and post that as well. Last edited by Newby; 12-20-2012 at 11:26 PM. the ole carp berry. the foam backpack lets it ride a little lower in the water ( olives are heavy so they float low.) and also makes it easy to see since sometimes you have to bomb some casts from a distance to not spook those jerks. My "twist" on AZ Wanderings great mini hopper. Pics are junk. Camera never has taken good close ups and in the last month or so it's been "swimming" twice! Last edited by basshunter; 07-21-2013 at 06:06 PM. Blur- Love that hopper! Very sleek looking.